Most of the plagues (supply chain risks) on this list are totally beyond the control of supply chain managers. There’s just not much we can do to prevent earthquakes, floods, or worldwide economic crises. But there is one segment of these risks from which almost all of our companies could generate significant positive returns with a series of small, but smart, investments: supplier performance risk. Supplier performance failures are a huge part of our daily routines. Anything that could go wrong with an inbound order seems to happen at the worst possible time. But even though they are common, the cost of supplier performance failures can be difficult to quantify, and are often taken for granted as a cost of doing business. Michael Smith and Lee Buddress provided a great overview of the costs of supplier failures during the 2007 ISM Conference. They broke them down into two categories: timing failures and quality failures. And both of them have the potential to do a lot of damage to the entire supply chain. Let’s look first at the timing failures. If a supplier ships late, you may end up paying more for expedited transportation. You might also end up carrying more safety stock inventory to compensate for that supplier’s unreliable performance. If the supplier can’t deliver an order before you run out of inventory, then you might need to purchase the same materials from another supplier at a higher price. And if there are no alternatives available, a late supplier delivery could cause a stockout or a line down for your facility. When a supplier ships early, on the other hand, that creates costs, too. Early shipments lead to early invoices and payments, and this can create cash flow complications for your firm. Early shipments also translate into extra inventory, which eats into your working capital. Since most of our buildings these days are designed to facilitate “flow” and a high number of inventory turns, early shipments can physically clog facilities and hurt the performance metrics. Yuck! Whether the issue is timing or quality, when we understand the risk and recognize the true cost of supplier performance failures in our own supply chains, it is easy to accept Philip Crosby’s argument that Quality is Free. I’ve seen plenty of supply chain managers dismiss supplier performance failures as “someone else’s problem”. But in today’s business environment we are often stuck with the suppliers we have, whether we like it or not. Globalization, industry consolidation, and government regulations may limit the number of suppliers from which we can choose. And the challenge of negotiating terms and setting up new suppliers in our purchasing system takes time and money. 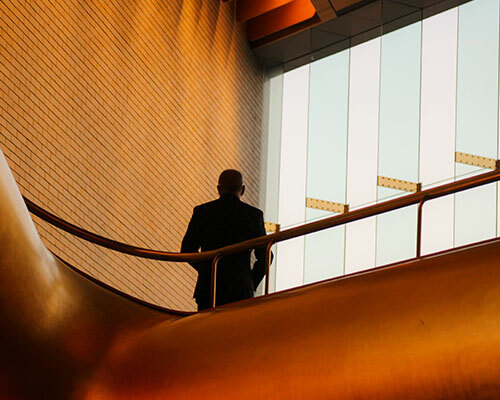 “Sure, improving supplier performance sounds great, but does it really make financial sense?” The answer, of course, is that it depends on how you do it. But before making any kind of investment, the first step is to figure out whether a supplier is really on board with the value of making improvements. Any investment in a supplier that isn’t committed to their own development is likely to be a waste for both of you. If a supplier hasn’t yet bought into the need for learning how to manage their own supply chain better, then there are at least three arguments that you can use to help them “see the light”. First, becoming more sophisticated about supply chains will enable them to become more efficient, and more profitable. Second, some customers may reward their efforts through incentives, such as the opportunity to do additional work, if they are able to improve their performance. And third, some customers might interpret an inability to improve performance over time as an indication that they need to explore relationships with alternate suppliers. No matter which way you slice it, the motivations for a supplier to improve their own performance should be clear. In the last few years, a new non-profit supply chain association has emerged with a uniquely collaborative approach to the challenge of supplier development. Built from the need to support minority suppliers and increase diversity in the manufacturing supply chain, the Diverse Manufacturing Supply Chain Alliance (DMSCA) has created its own model for supplier development that may be more effective, and a better value for everyone. The most common approach to supplier development, and the one that is popular with large companies, is to offer in-house training and support for suppliers. But supporting this kind of team internally is expensive, inconsistent, and hard to sustain. Since every supplier is starting from a different baseline, and every participant progresses at a different speed, the impact of these programs is often underwhelming. DMSCA, on the other hand, is supported with membership fees from several large manufacturers including Caterpillar, Siemens, PepsiCo, and others. Compared to the cost of responding to a single supplier failure, their membership fees are a bargain. And DMSCA has built alliances with several other industry associations, such as ISM and APICS. This arrangement allows DMSCA to work with smaller suppliers at a very low cost, teaching them the in’s and out’s of supply chain management on behalf of their big customers. 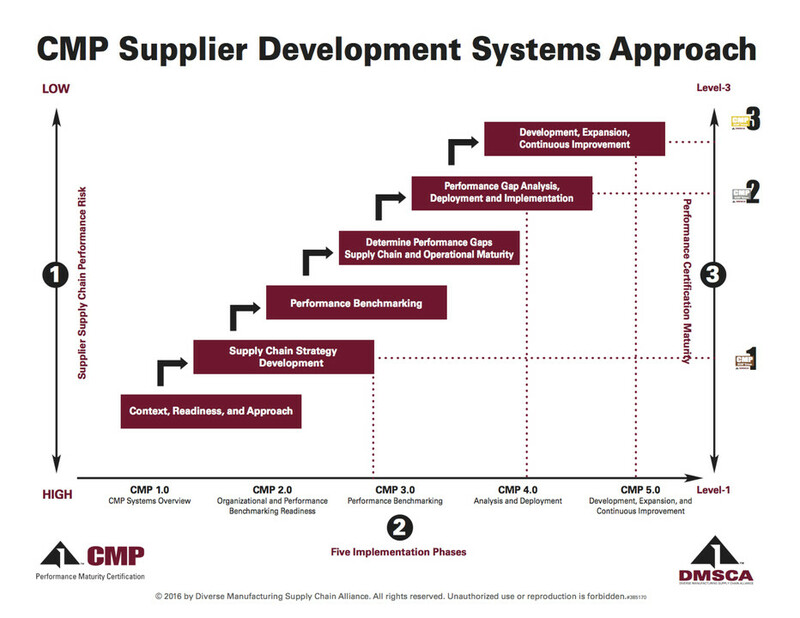 As suppliers move through the DMSCA process they reach higher levels of capability maturity, and are recognized with the Corporate Mentoring Program (CMP) certification. A supplier who reaches the level of CMP 3 has received all of the training required to implement and maintain an effective program of continuous improvement. Does supplier development stop there? Probably not. But professors Sachin Modi and Vincent Mabert have shown through their research that this sort of baseline preparation is actually required in order for suppliers and customers to generate benefits from other supplier development activities such as site visits and company-specific training. And DMSCA also brings something else to the equation: the opportunity for suppliers and manufacturers to communicate and collaborate more effectively. These “softer” elements have also been shown through research to be valuable in driving real improvements in supplier performance. Are you a manufacturer looking for ways to increase the effectiveness of your supplier development program? Are you a supplier looking for ways to improve your own performance? Then think about joining us for a DMSCA Conference. The theme of the 2017 conference was Procurement Transformation and Innovation in Digital Supply Chains. These face-to-face events are a great way for manufacturers and suppliers to come together with a focus on how they can collaboratively improve performance, and increase value in the end-to-end supply chain.